The magnitude 6.2 earthquake that struck central Italy this week has so far resulted in the deaths of at least 250 people. Victims range in age from infants to pensioners and it is a tragedy that we unfortunately witness too often. However, as this is written, there are stories of survivors being pulled from the rubble nearly 24 hours after the main quake. And this is the point: it is not the earthquake that claims victims, but the collapse of human-built structures: buildings, bridges, retaining walls, embankments, and so on. In the February 2011 Christchurch earthquake, for example, 115 of the 185 victims died in one building. Meanwhile, people ran from city-centre buildings, collecting in Hagley Park – the nearest open space – recognising that most danger lay with the surrounding structures. Already, there are stories about “lax construction laws” being at fault in Italy. But Italy is a modern, developed country, in which some of the world’s latest building design standards, the Eurocodes, apply. If Europe can’t get it right, can anyone? But this is the 21st century, so where are the earthquake-proof buildings? It’s not that the structural engineering profession is not trying. 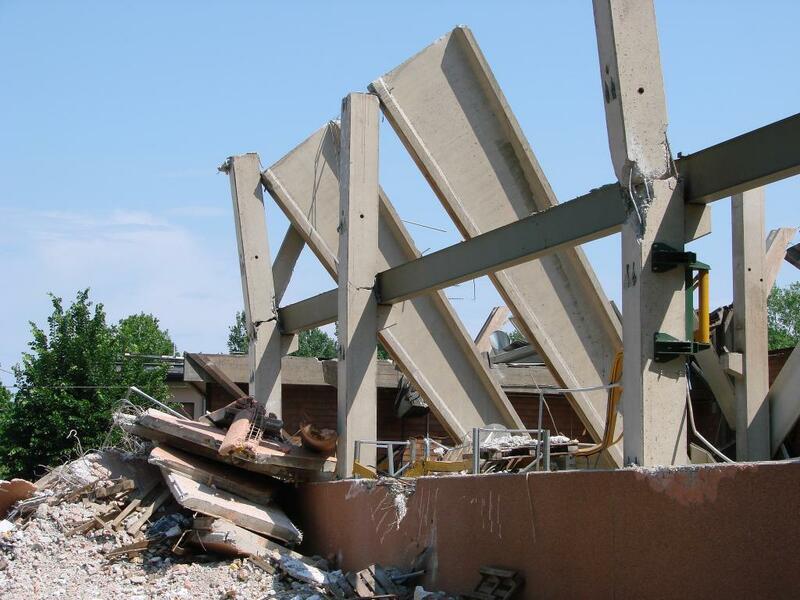 Recent decades have seen tremendous improvement in knowledge and approaches in earthquake engineering. Massive shake tables exist for testing full-scale structures; we have complex computer models of structural behaviour; and novel testing approaches, including pseudo-static and real-time hybrid simulation. The profession has made great strides in developing energy-absorbing structural connections, such as replaceable “seismic fuses”. Potentially, the most far-reaching recent development is a fundamental change in the philosophy of designing structures for extreme events such as earthquakes. In the past, and still in some codes of practice, structural engineers were involved in the prediction of earthquake frequency and intensity. They would design for a “one in 500 year” event, for example, and infer an absolute statement of structural safety for this hypothetical and unobserved event. Of course, such an earthquake is rather meaningless, as it is merely an extrapolation from what has already happened. Consider that in the 2011 Christchurch earthquake, vertical accelerations of over 1.0g (buildings in free-fall) were widely observed and rarely before seen and that the Newcastle earthquake of 1989, led to significant improvement in seismic design in Australia. It is fairly clear that extrapolating from what has already been observed is insufficient evidence for what may yet come. More recently, “performance-based design” has emerged as a result of this evolving understanding of the nature of the threat. In this approach, the structural engineer makes statements roughly like “the probability of failure given a magnitude 7 earthquake is 5%”. If the client, regulations, or society more generally, requires a lower probability of failure, then the design is altered accordingly. Such simple statements belie the enormous implications of this change in design philosophy. The structural engineer is removed from making decisions about the chances of some earthquake event, and instead rightly focuses on the structural response. The client or other agent takes ownership of what might be called the design earthquake, consulting seismologists for advice, and abiding by regulations of what is socially desired. In spite of the advances already made, the evidence from Italy and other earthquakes is damning: structures are not generally earthquake-proof and people are dying. Why is this still the case? Firstly, and most obviously, the structures that already exist were not built with the benefit of the latest techniques or knowledge. Strengthening existing structures is an exciting area of research, and many significant pieces of infrastructure have undergone “seismic retrofit”. In spite of this, though, there is a massive amount of building stock that is brittle, such as masonry structures, and very seismically sensitive. Is the cost-benefit ratio of widespread seismic retrofitting acceptable to society? Currently, the answer seems to be: “no”. Secondly, there remains a fundamental lack of knowledge about the behaviour of structures in earthquakes. Computer models are at best approximations to reality and experimental testing is extremely expensive and so usually restricted to small-scales or just components. Even the few largest shake tables, costing millions of dollars and capable of shaking full-scale multi-storey buildings – such as the EUCENTRE in Europe, UC San Diego in the US, and E-Defence in Japan – do not fully account for the full six possible motions (translation and rotations about the three axes) or consider the significant influence of soil-structure interaction (although progress is being made). Thirdly, competition for limited research funds is fierce, and academics are just one grant cycle away from not being able to continue their work. This contributes to “bite-sized” research projects with limited scope and potential. Government funding sources are also diminishing in many countries, with the expectation that private industry will fund research. But this mainly focuses on projects that lead to “jobs and growth”. So the current situation is insufficient to tackle the research mega-project that the earthquake-proof structures challenge represents. Rather, a major international effort akin to the Large Hadron Collider is needed. Happily, there is a glimmer of such an effort emerging in the Global Earthquake Model project. The latest research findings often take several decades to make their way to practice. After (eventually) taking root in the academic community, an idea might make its way to the relevant standardisation committee. Such committees usually consist of key stakeholders: government, private industry, and academics (if their key performance indicators allow). Some may benefit from the idea, some may not, but if all of the stakeholders (eventually) agree, the idea becomes standardised when the next publication of the code of practice is (eventually) made. Where public safety is concerned, such conservatism is understandable, but not the delays. All of this is surely of little consolation to the people of Amatrice and surrounds in Italy tonight. But for them, and the others who unfortunately will follow, our research and profession must strive to do better. We must commit ourselves to removing any artificial barriers and facilitate fast-track research-informed improvements in structural and public safety.